As a fan of all Sci Fi, good for him. Perhaps he will be featured in an upcoming Star Trek flick. 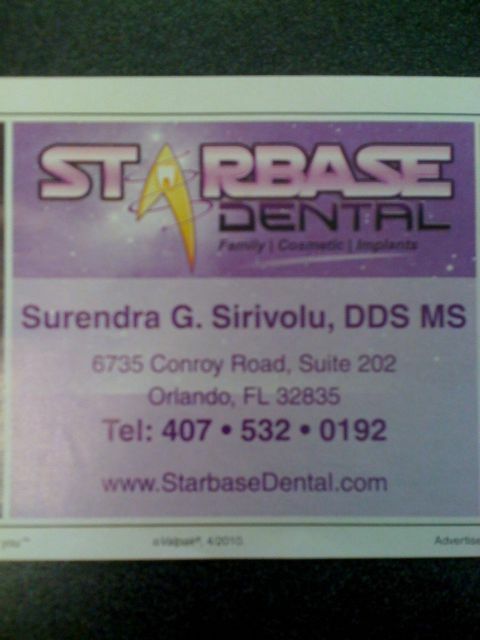 I can see it now, “out of this world dental care”. After I posted this, I found out that this dentist’s office was featured in one of the Trekkies documentaries.